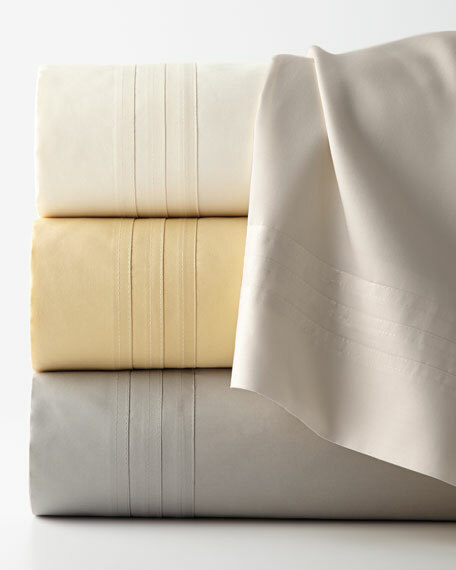 Cotton/rayon face; cotton reverse; polyester fill. 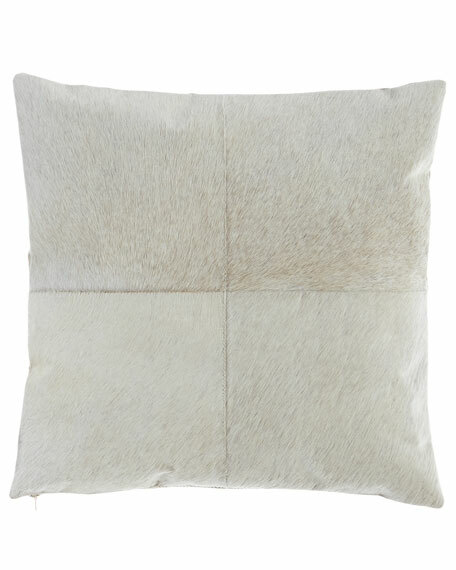 Pillow is made with four squares of lustrous calf-hair leather. 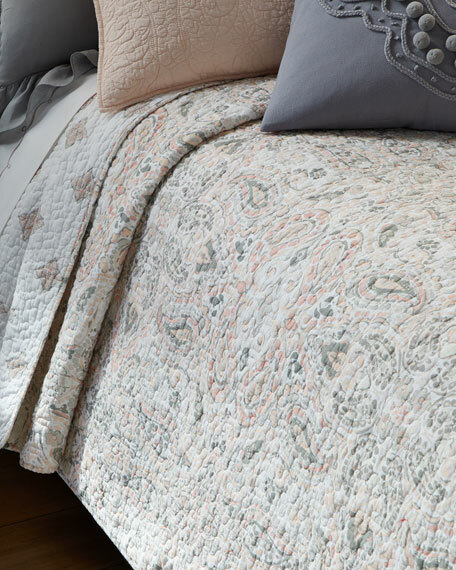 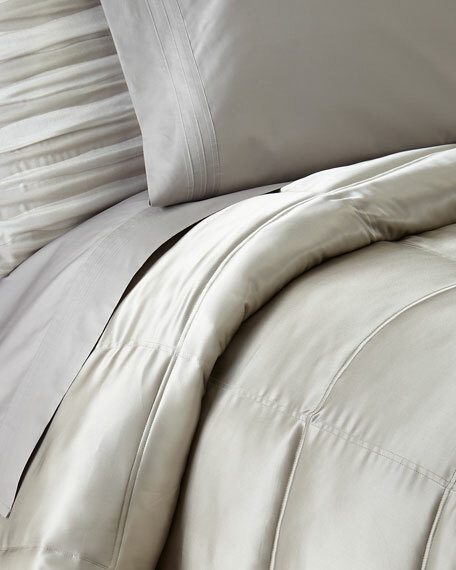 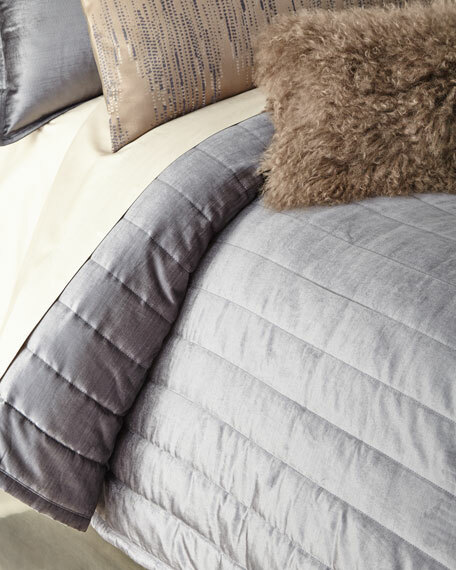 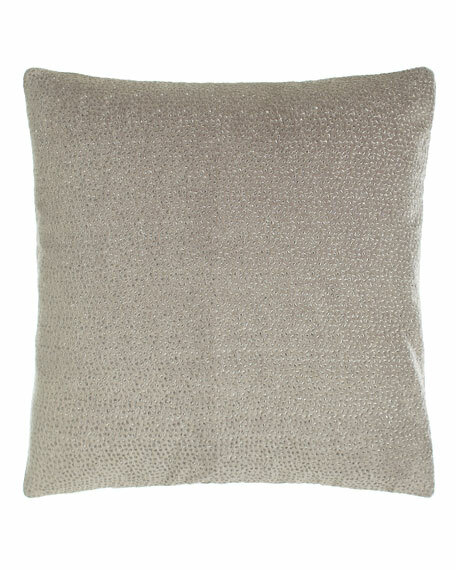 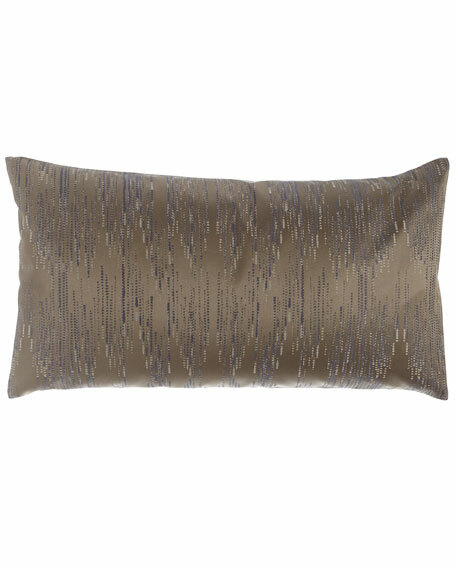 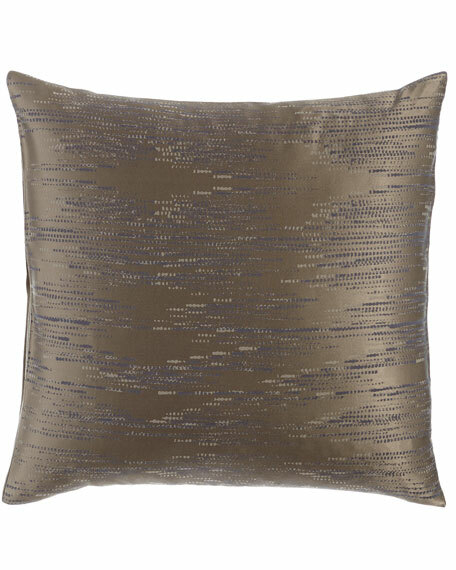 Donna Karan Home Exhale Velvet Pillow, 16" x 20"
Sham features a geometric pattern of woven dashes. 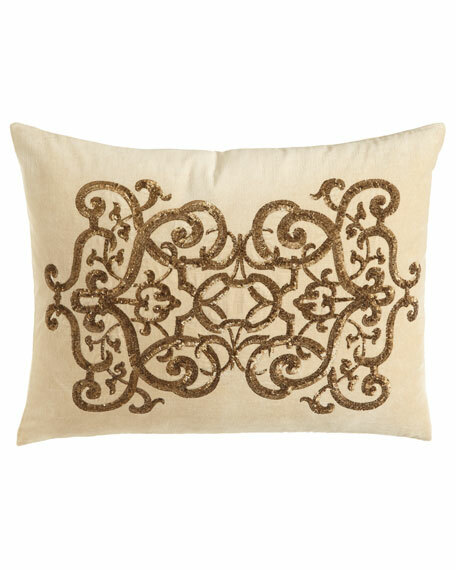 Pillow made of linen.Embellished with embroidery and sequins.Plumped with feathers and down.Dry clean.20" x 26".Imported. 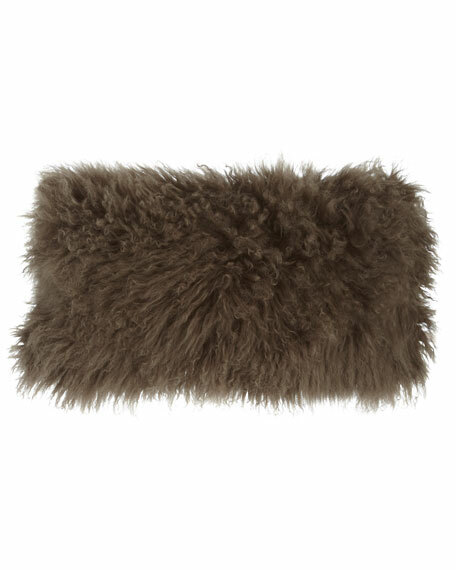 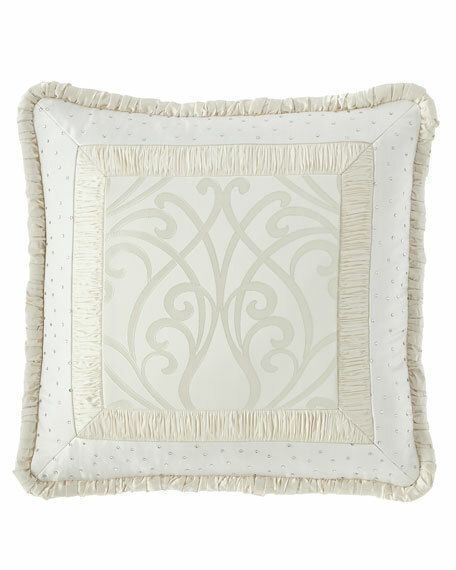 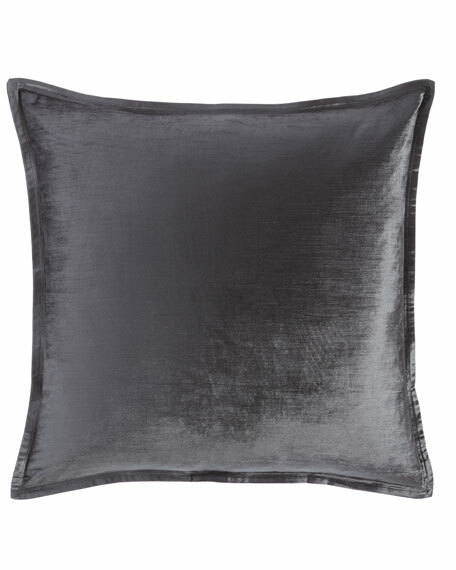 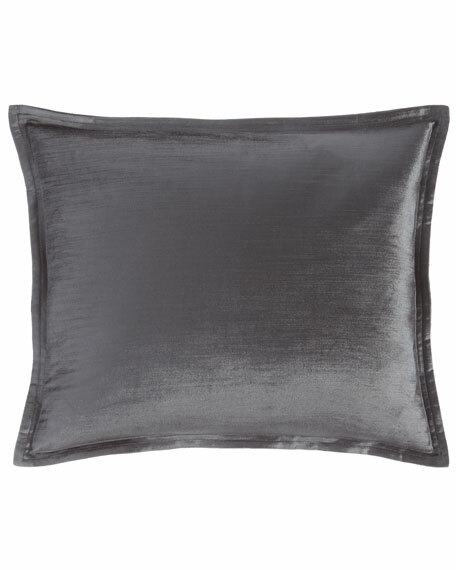 Donna Karan Home Fuse Embroidered Velvet Pillow, 18"Sq.